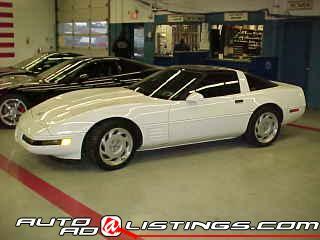 1992 CORVETTE, WHITE WITH BLACK INTERIOR. AUTOMATIC TRANS, CHROME WHEELS, 50K MILES. CAR IS IN EXCELLANT CONDITION AND VERY, VERY CLEAN. WANT TO SELL BEFORE WINTER.